Spring officially arrives in Downtown Boulder when the beautiful, colorful Tulip Fairy, along with pint-sized fairies and elves, parade around the Pearl Street Mall "waking up the tulips." 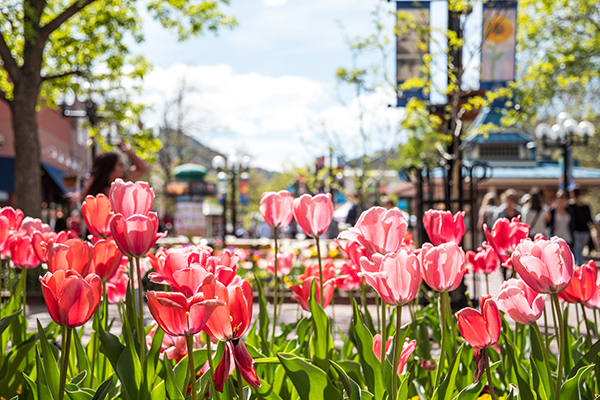 This much beloved springtime tradition features special activities for girls and boys and more than 15,000 tulips that adorn the world renowned Pearl Street Mall. Join our friends at prAna on the Courthouse Lawn from 3 - 4 pm as they host a FREE kids yoga class! The Tulip Fairy & Elf Festival is excited to welcome the first annual Colorado Soapbox Science event during the Festival from 1 - 4 pm. Come help celebrate and promote women in STEM, and learn more about a variety of topics from Gummie Bears & Genes to making environmentally-friendly chemicals. (Talks will range from renewable energy, astronomy, genetics and more!) See the Soapbox Science talks on the 1400 block of Pearl Street. Don't forget: On Saturdays and Sundays year round, parking is FREE in all City of Boulder garages! *Rain Date: In case of inclement weather the Tulip Fairy & Elf Festival will be rescheduled for Sunday, April 14th from 1 - 5 pm. Should the festival be rescheduled we will make an announcement by 10 am on April 7th.